The County senior’s team went into this fixture knowing that a win would secure the Anglian league title for the third successive year. Eight of the players went and played a practise round earlier in the week. layout to challenge even the best players. Drainage ditches cross the fairways and deep ditches 40 yards short of some greens are a major feature. At nearly 7000 yards in length, it is one of the longest we have played. The morning foursomes, at which we have improved dramatically this season, were halved in the Anglian and we were one point up in the Midland league East. In the afternoon, the seniors took charge with some pretty impressive winning margins. Andrew MacDonald of Overstone Park, making a rare appearance this season, winning six and four. The ever reliable Ian Smith bringing up the rear with another win and Jim Tricklebank of Overstone coming back from three down to get a vital half. 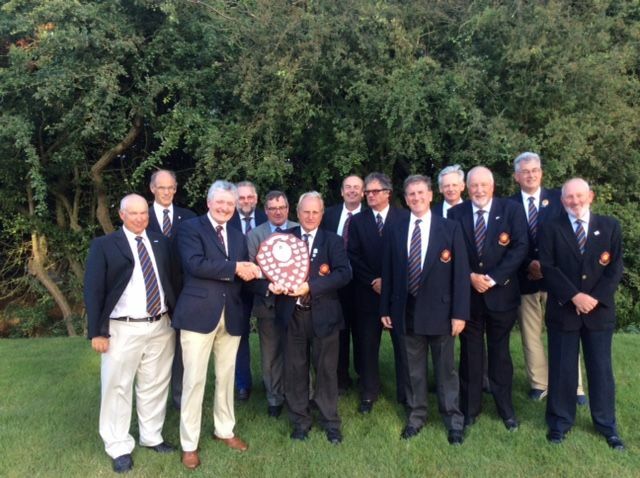 The overall result was a win for the seniors in both the Anglian league and theMidlandleague East. As a group of seniors we have now won three Anglian league titles in a row and remain undefeated for three seasons. Personally, I cannot thank the players enough for the commitment shown with the winter coaching, practise rounds and great team spirit. We now move onto Leicestershire away at Kibworth GC in our quest to keep the pressure on Nottinghamshire in theMidlandleague East. Well done to everyone in the senior’s group.